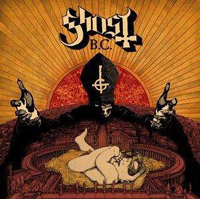 Swedish musical occultists Ghost BC have released a video for “Year Zero” from upcoming record Infestissumam. Once again with nods to The Omen, The Craft, and The Witches of Eastwick, the “Ave Satani” introduction leads into NSFW speculation on the identities of Papa Emeritus II and the Nameless Ghouls. Check it out below for a dose of flesh, young and old.